Small charity brands don’t need to lose out to costly rebrands. Over the years we’ve seen some big names in the charity sector go through extensive branding exercises. Cancer Research UK, Oxfam, Disasters Emergency Committee, and Scope have all made the headlines. And more will follow as the need for brands to work across all platforms becomes increasingly urgent. Charities, like their corporate counterparts, have recognised the value in their brand as a means of increasing much needed income. For example, Macmillan Cancer Support increased their fundraising income to £26m through a tough economic climate. That’s an incredible 6% year-on-year growth after they rebranded in 2006. But where does this leave small charity brands? Small charities have often struggled to raise income with limited resources. At a time when donations are falling and charities are fiercely competing for supporters. The last thing they want to do is embark upon an expensive rebrand that could affect donor perceptions of the charity. By ensuring their current brand identity is working as hard as possible offers an interim solution to a complete overhaul of their brand. If a brand identity is to have longevity it needs to be consistent. A strong, consistently applied brand has huge benefits that go beyond increasing the fundraising potential. Consistent charity brands are instantly recognisable. They standout amongst competing organisations clamouring for supporters’ attention. 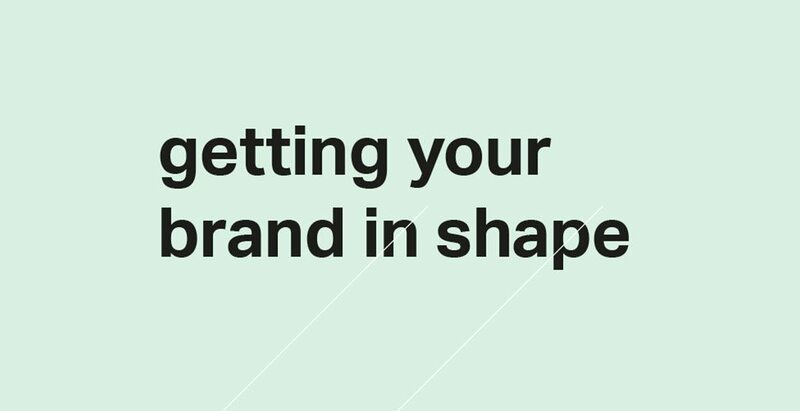 All of which helps lay down the foundations for a long-term brand strategy. Where does a small charity brands start ? Any brand evaluation should always start with an audit of all the materials produced by the charity. This provides a base on which to build on and gives an overall picture of where the gaps in the visual identity are, what’s working and what’s not. It also provides an opportunity to obtain buy-in from trustees and senior staff. Any future brand exploration will then become a smooth process with consensus from above if there isn’t already. It may be time consuming but it’s well worth the effort examining all the brand elements; logo, typeface, colour palette and imagery. Then collating how consistently these are being applied to all materials. Next, it’s time to look at the brand guidelines. Are they so scant that they cease to be of any value to both internal and external users? Internal teams may be struggling to apply the brand identity consistently because there are no specific guidelines for their needs. Expanding on current guidelines and including examples of do’s and don’ts could help overcome this. The best brand identities are built in to a charity’s strategic plan so that the brand develops alongside the organisation’s long-term strategy. A clear purpose with sound objectives means an eventual rebrand can be built in to the long-term plan and budgets properly planned for. In the meantime, by tidying up the existing brand identity. Implementing brand elements consistently across all platforms, small charity brands can still reap the benefits of a strong brand.